I’ve decided to cut back to blogging once a week for now, on Fridays. I thought twice a week would be OK, and it was for a long time, but I want to spend more time painting with oils and watercolors, and I’m about to start a class in Illustrator. I will still do photography, but on a smaller scale. 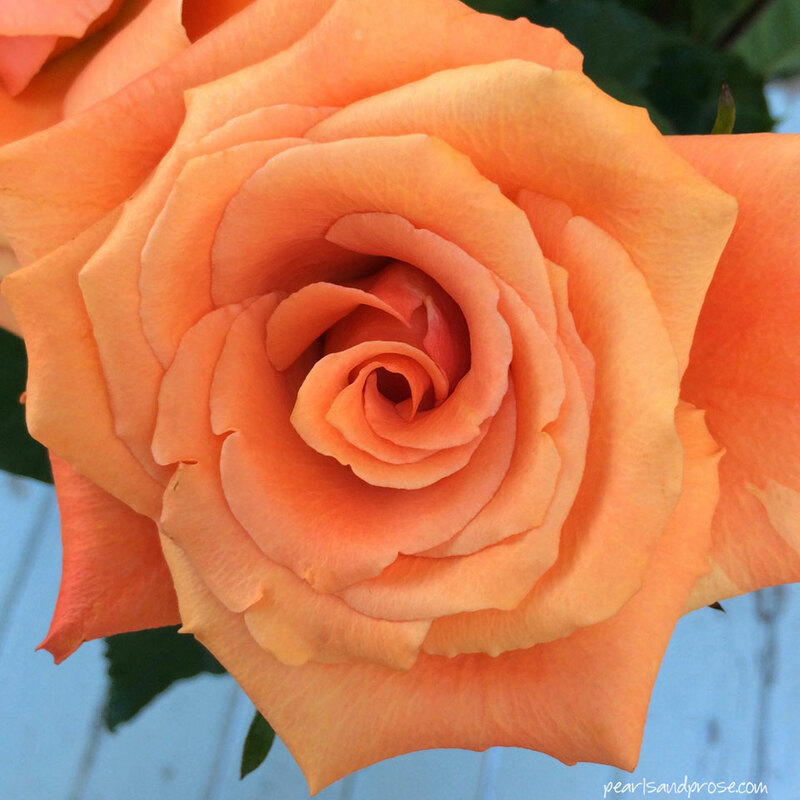 This entry was posted in photography and tagged apricot-colored roses, iPhoneography. Bookmark the permalink. Very well, Carole, wish you lots of good luck with painting, but do not forget to share your art with us! We will miss you! Wonderful pictures! Take care and enjoy! Ahhhhh – a true Renaissance Woman at heart – exploring new avenues and opportunities to expand her artistic talents, which are many ! Ha, I wish, Susan! Forgot to mention I’m trying to write a memoir about my travels in the Mideast too. Sometimes we have to cut back. You’ve got exciting new projects, so I totally understand. The rose works well with the table as background. Lovely color combination. Thanks so much, Caroline. It was getting so I was doing less and less creative work. I do love apricot and baby blue. Love to see anything any time! 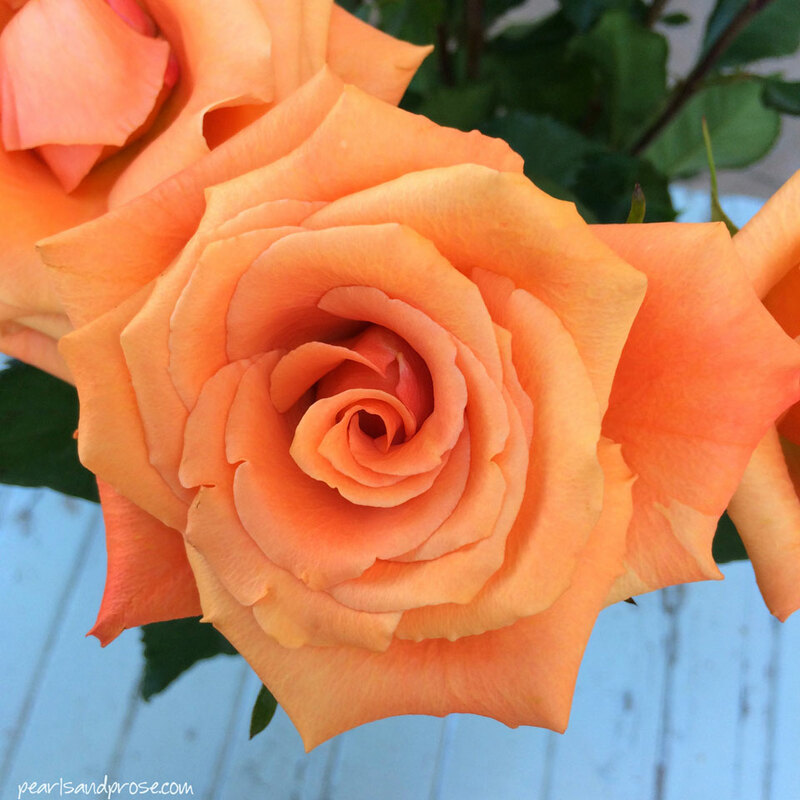 So nice of you to say…thank you! Your artistic and professional growth is paramount. Our loss, but your gain. We will be happy to make the sacrifice! All the best, and looking forward to a weekly treat. Enjoy your painting and the Illustrator classes! That’s a lovely way to expand your creativity. I hope you’ll share your progress here when you’re ready. Thank you, Jackie! I’m a little reluctant to share my artwork at this stage, but maybe in the future!